thm beverages – Now I Can Have My Cake And Eat It, Too! 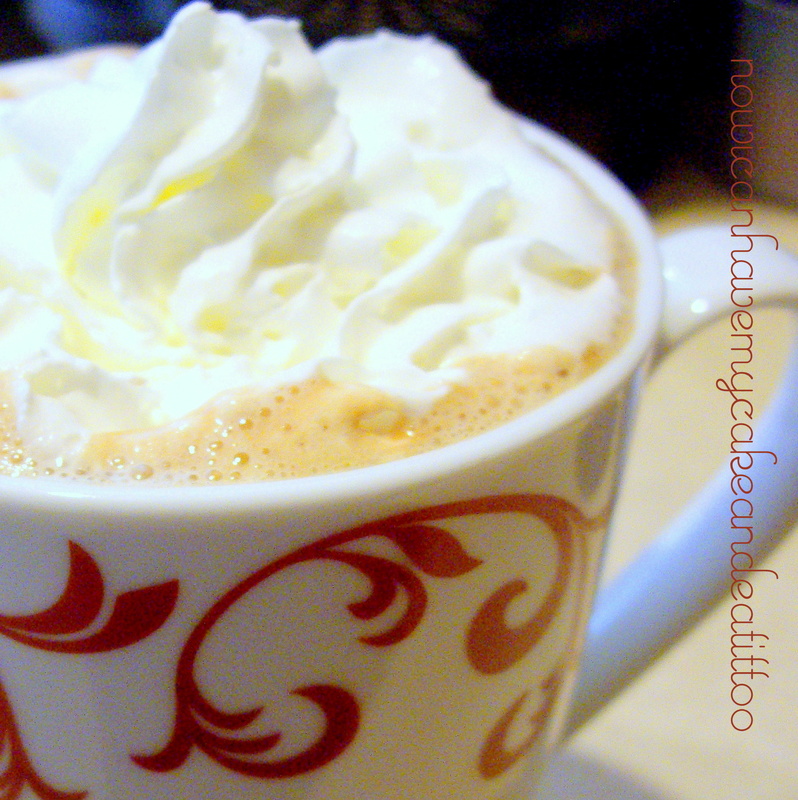 Have you ever made your own hot cocoa? I don’t mean opening a package and dumping it in a cup and adding some hot water…I mean making it from scratch. It’s pretty amazing. Especially the recipe I just made today! The best part? It’s SUGAR FREE!! And it still tastes AMAZING!!! Place butter in small saucepan and melt. Add all other ingredients and heat until steamy, DO NOT BOIL. Pour into pretty cup and enjoy! I think this recipe actually makes 2 servings. But, it’s so rich and delicious, you might just want to drink it all yourself! This might very well be the best hot cocoa I have ever had. It’s got just the right amount of chocolate flavor and the caramel extract gives it this rich, full flavor. MMmmmm. It’s perfect! Please, try this SOON! 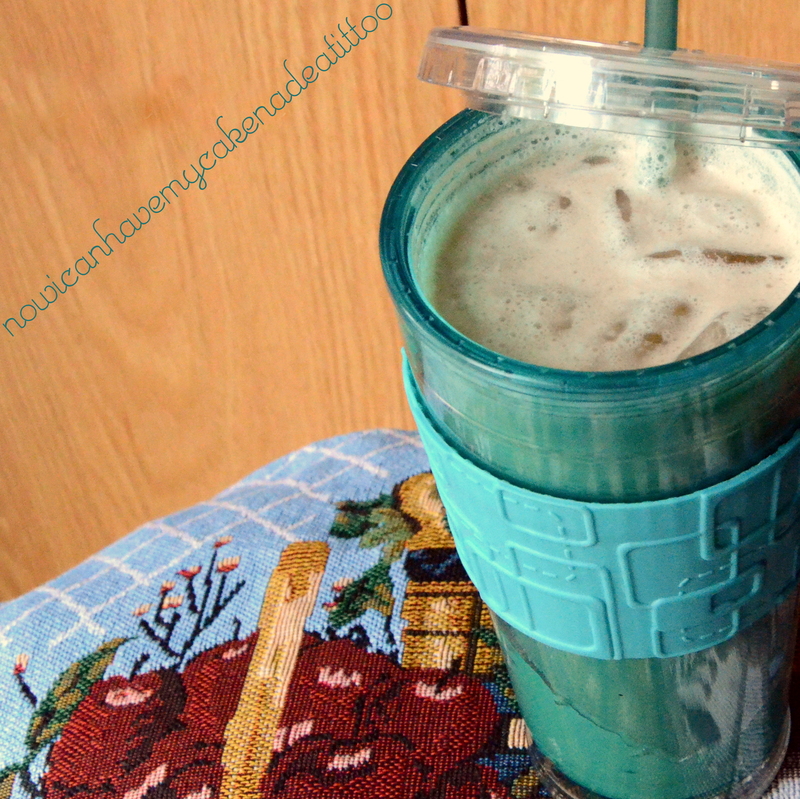 I have a yummy caramel apple smoothie to share with you guys today. Yes, I know it’s fall and y’all are drinking everything warm now, but I just had to try this recipe. It sounded so good and I finally had everything I needed for it. I am so glad I did, too. It’s delicious!. Just bundle up in a blanket and try it! You won’t be sorry, I promise! And since it was so good, I had to share it with all of you! As you can see from the photo, I did not peel my apple. You can if you like. It’s up to you. I washed my apple well before cutting it up. I just cut it into large chunks before throwing it into the blender. Toss everything into the pitcher of your blender and pulse to get started. Top with low-fat or non-fat whipped cream if you wish. 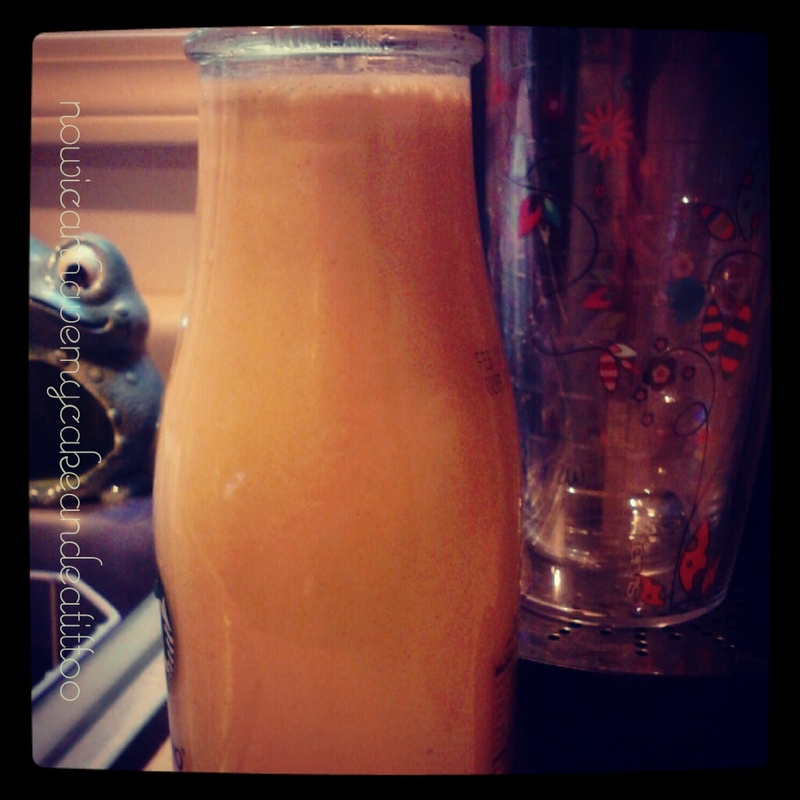 I thought leaving the peel on the apple made this caramel apple smoothie beautiful and added depth of color AND flavor. If you don’t like the idea of that, feel free to peel your apple. For all my THM ladies, this is an ‘E’ so make sure you keep your fat to 5g or less! 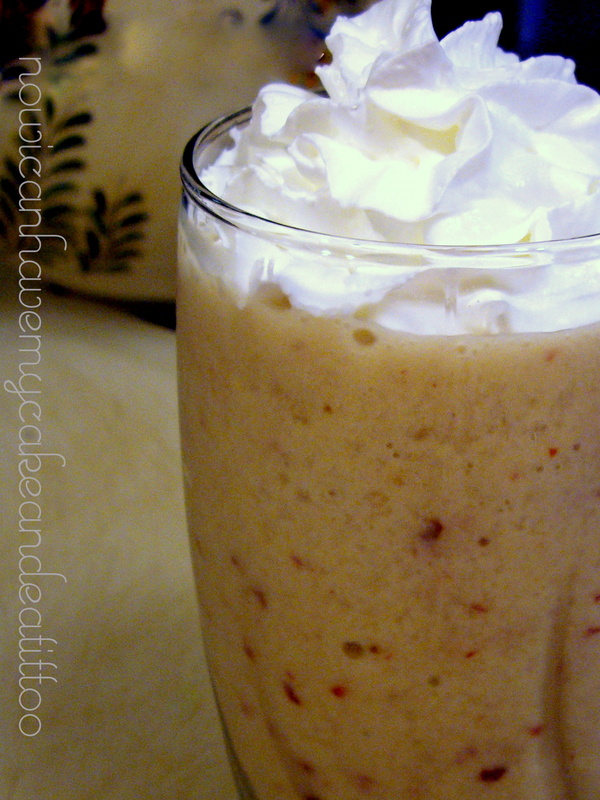 This is my version of a THM pumpkin cheesecake smoothie. It’s pretty tasty and it’s got almost a full cup of the super-food pumpkin in it so it’s good for you! Add ingredients, except whipped topping, in order given to the pitcher of your blender. Blend until smooth, scraping sides of blender as needed. Pour into a large jar or fancy glasses. Top with whipped topping and a sprinkle of pumpkin pie spice or cinnamon if desired. 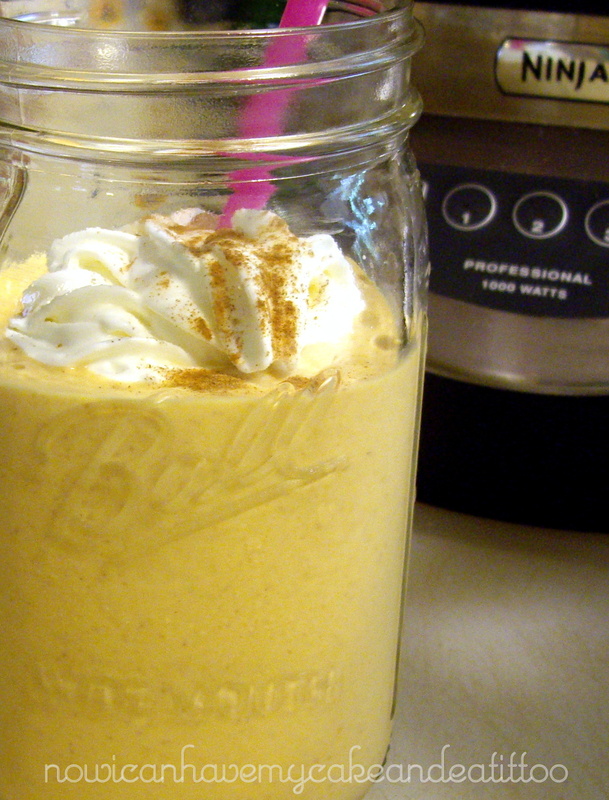 The original pumpkin cheesecake smoothie recipe called for 1/2 c. 0% non-fat greek yogurt and 1/2 c. 1% cottage cheese. I didn’t care for the zing of the yogurt. If you like that or it doesn’t bother you, feel free to sub 0% non-fat greek yogurt for half of the cottage cheese. This is a great snack or even meal replacement. Makes a great breakfast. If you’re like me, and I suspect a lot of you are…you don’t like putting a bunch of chemicals or artificial things in your body. Sometimes though, you get in a habit of eating/drinking things that taste good and don’t want to give them up, even though you know they aren’t good for you. Pumpkin Spice Creamer would be one of those things. You know, it’s fall and it’s getting cold so you crave all things pumpkin, creamy and warm. Yeah, you’re smelling what I’m steppin’ in, I know you are! Well, now you can drink all the Pumpkin Spice Creamer you want, y’all cause I have perfected my Homemade Pumpkin Spice Creamer! And I’m here to share it with you today! Heat everything over medium heat until steamy, whisking occasionally. DO NOT boil. Once steamy, remove from heat and allow to cool completely before refrigerating. You can use right away in your coffee or wait until it has cooled. I use and old jar from a coffee drink I used to buy to store my creamers in. Anything will work. Creamer should stay good in the refrigerator for a week to 10 days. If you have a nut allergy and cannot use almond milk, you can substitute coconut milk or 1/2 and 1/2 for that. In fact, it will be even creamier with 1/2 and 1/2. Fill quart size jar with ice. Pour apple cider vinegar over ice, extract and sweetener. Now fill jar halfway full with sparkling water/club soda. Fill jar the rest of the way full with plain water. Add NuNaturals lemon and orange stevia drops. WOW!! That’s all I can say about this THM Caramel Apple Shrinker!! Well, not ALL I can say because I am going to give y’all the recipe because OMGoodness!!! This is soooo good! I wasn’t sure what to expect because I used two green tea bags and two of the apple spice (Celestial Seasonings) tea bags. But it’s so yummy!!! I love the regular shrinker, but this takes it to a whole other level, yo! I am in love with this baby. This is like slap your grandma good! For realz!!! Alright, I have to get to the photo and the recipe and stuffs, cuz y’all are gonna want this recipe for sure!! Steep your tea bags in your hot water. Fill your quart jar with ice. Sprinkle your cinnamon and cayenne over the ice. Now you add the salt to the jar. Add the caramel (or vanilla). 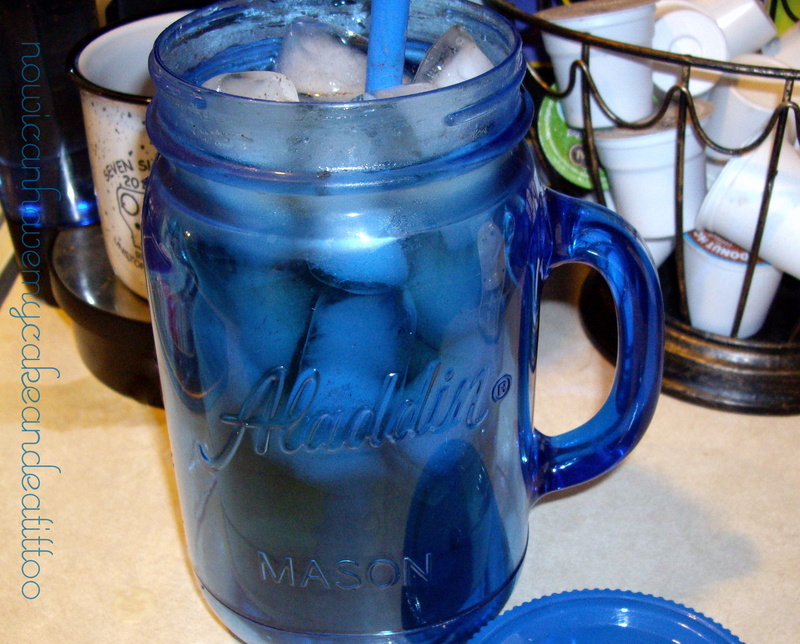 Once your tea is the desired strength, pour it over ice and everything else in your quart jar. Now add your almond milk. If the jar is not full and you’d like it to be, you can fill the jar up with water. Stir or shake to blend well. Friends, this is an all-day sipper. You can make as much and drink as much of this as you like. If you have a caffeine sensitivity, please be sure to use decaf tea. This is going to be my go-to shrinker recipe from now on. I was actually looking for an apple-cinnamon tea when I found the apple caramel flavor and since it’s fall, I thought the apple caramel sounded good. The pumpkin spice is great, too! I’m so glad I picked that up!! 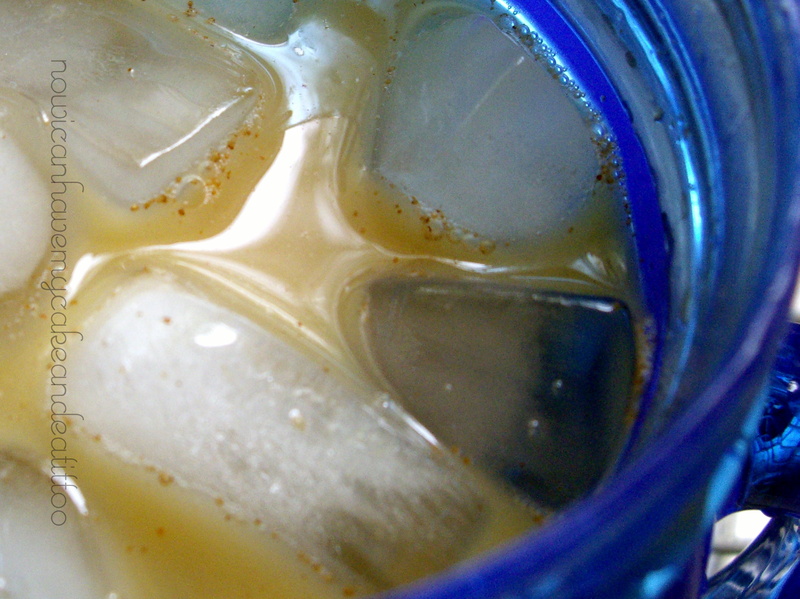 Do you liked iced coffee drinks? I do! In fact I LOVE them!! I know some people who can’t stand them because it’s cold coffee…I don’t understand that, but whatevs… 😉 This caramel vanilla iced coffee could only be easier if you went to the coffee shop and had them make it for you! Pour brewed coffee over ice. Now add caramel extract and NuStevia.